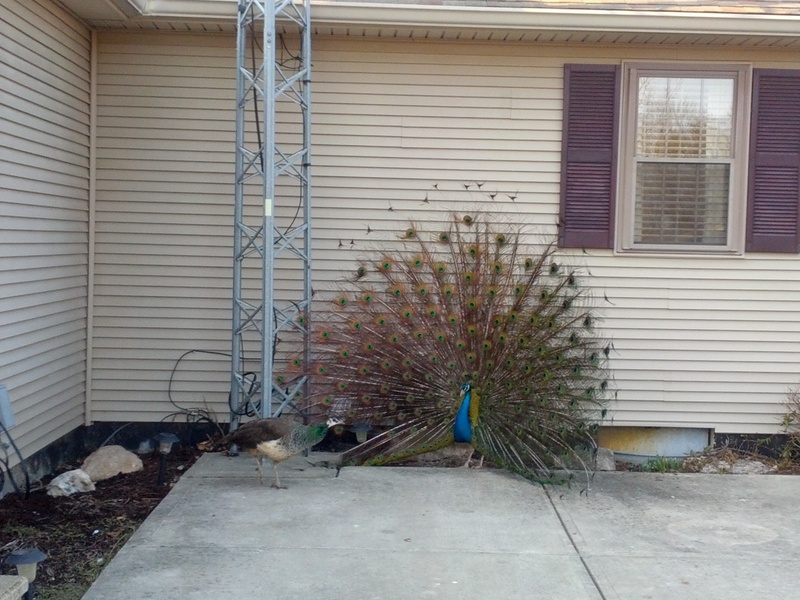 I keep a pair of peafowl as pets. Peafowl (the male in particular) like to look at themselves in anything that’s reflective. They also like to eat potted plants. This leads to a lot of peacock poop and damaged plants on our porch, which leads to me being in trouble with my wife :). Being an engineer, I figured the only reasonable solution would be to make a motion activated sprinkler to discourage them from hanging out near the house. This was my first real electronics project, starting in the fall of 2011. My plan was to use a motion activated security light, a sprinkler valve from an automatic watering system, and a custom circuit to connect the two.